The Energi Powerchair is lightweight and packed full of features including a maximum speed of 4mph and maximum range of 15 miles. The Energi Lightweight Powerchair has many excellent features including a maximum speed of 4mph and maximum range of 15 miles. It has been designed to be used both indoors and outdoors and is available in four different seat widths – 16”, 18”, 20” & 22”. 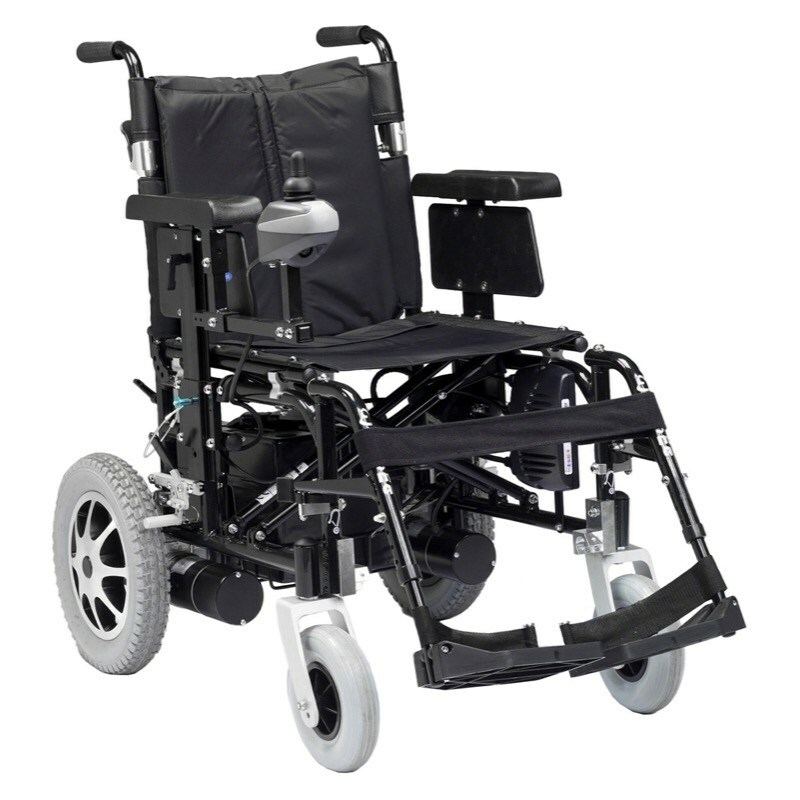 The rear wheel drive system ensures optimum manoeuvrability whilst the height adjustable backrest and armrests allow for a comfortable position to be obtained. Available in three colours - Metallic Blue, Red or Black. 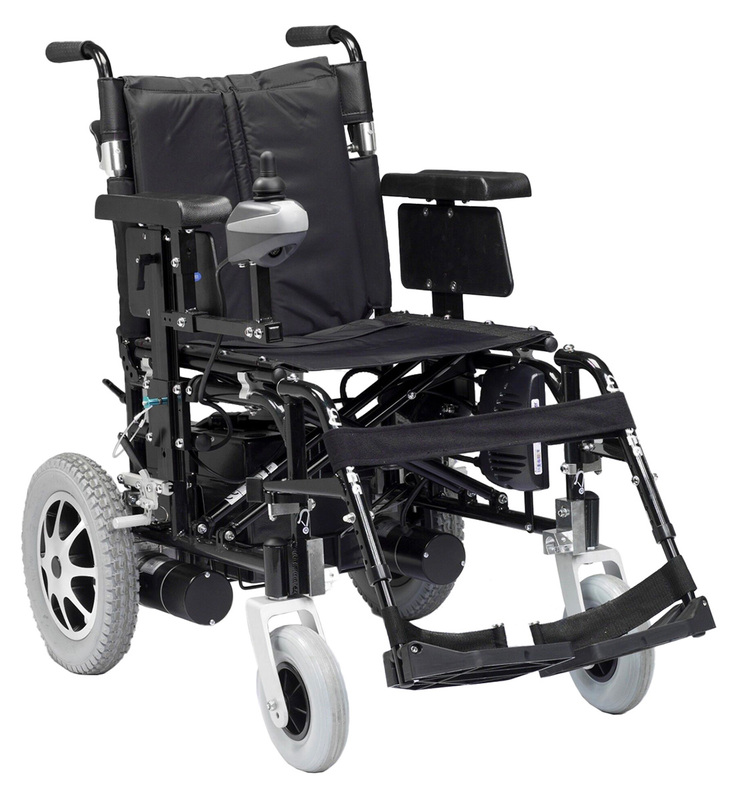 Available in 4 different seat widths - 16",18",20" or 22"
We highly recommend the Delivery & Installation option as the weight of the Powerchair means that it has to be delivered in sections for safe transportation. We use a specialist company (Healthcare Distribution Direct) to assemble the powerchair and demonstrate how it works and also take away all packaging. This option will normally take 1 - 2 weeks and you will be contacted to arrange a suitable installation date. The Delivery Only option is only suitable for those people who can arrange for someone to assist in assembling the powerchair as the delivery driver will only take up to the threshold. We can normally arrange delivery within 2-3 working days assuming there is stock. If you have any questions about the product then please email info@manageathome.co.uk or call our customer services department on 0800 910 1864.